If you are part of the team that handles the hiring process for your company, you need to make sure all the information an applicant provides is factual and verifiable. 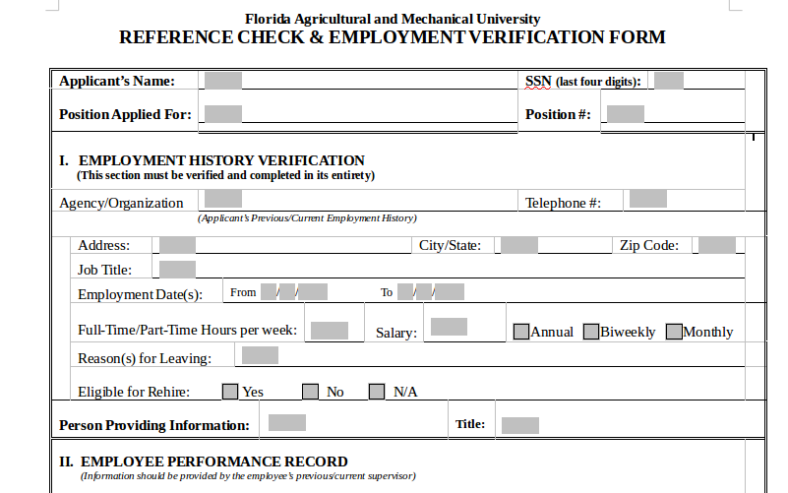 To help you do that, there are employment verification forms that you can use to check an applicant’s resume and experience. 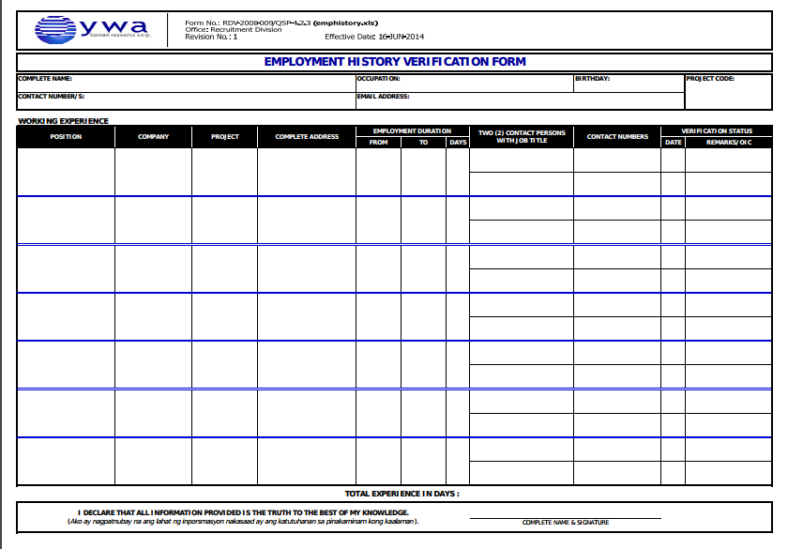 Here are some examples of employment history verification forms as well as tips on how to use them effectively. Do potential employers really check your employment history? The answer to the question above is a resounding yes. Potential employers need to be able to verify information about you to ensure that they are hiring a person that fits well with8 their company. 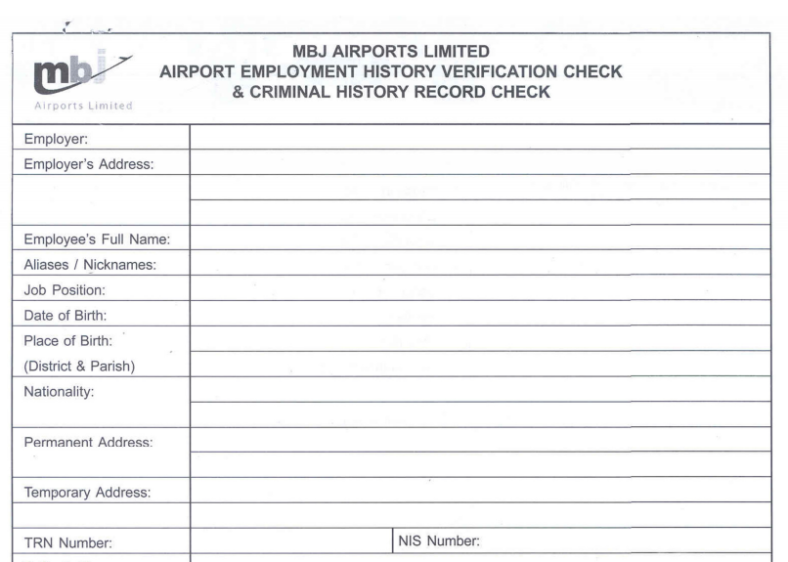 So they are going to check everything such as the last place you worked, how long you held each job, the reasons why you left your previous company, and other details. They even call the former employers on your reference list to check with your previous bosses if the details in your resume or job application are accurate. 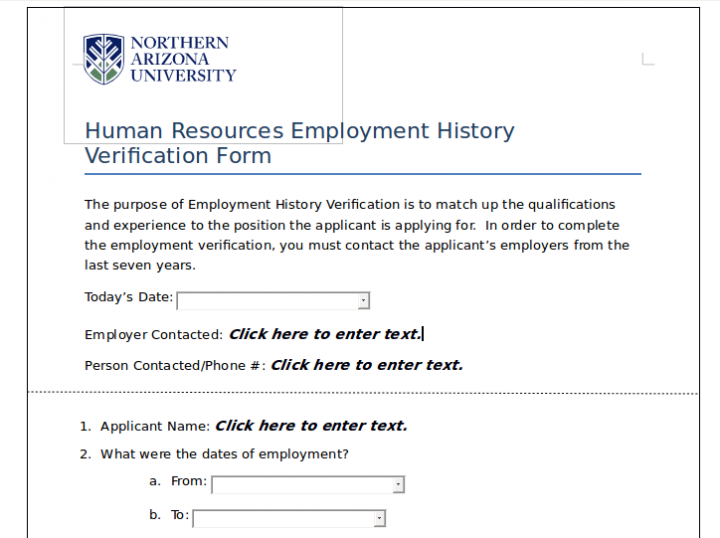 Every employer needs to conduct an employment history verification to confirm that the information that applicants have given them is accurate. One’s employment history would include things like the date of one’s employment, previous salary, job title, and the names of all the other companies that the applicant has worked for. 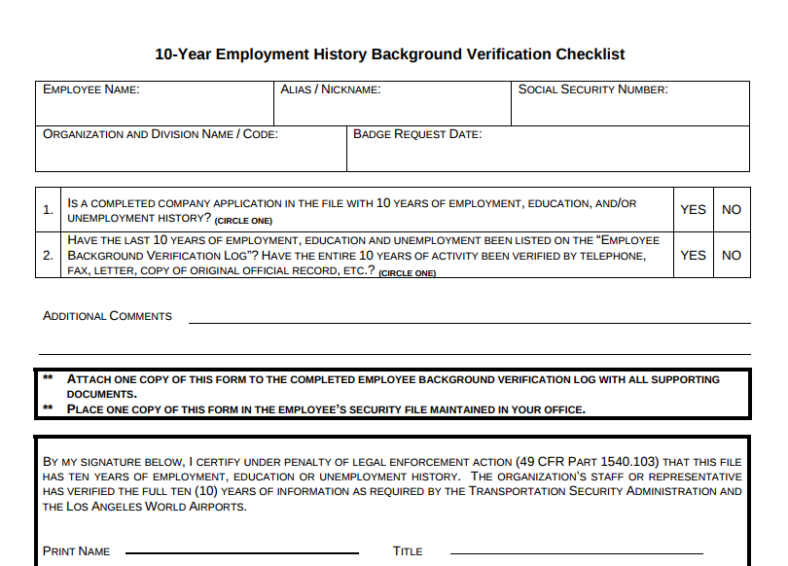 An employee history verification can also be called an employment history background check, work history verification, or work history check. 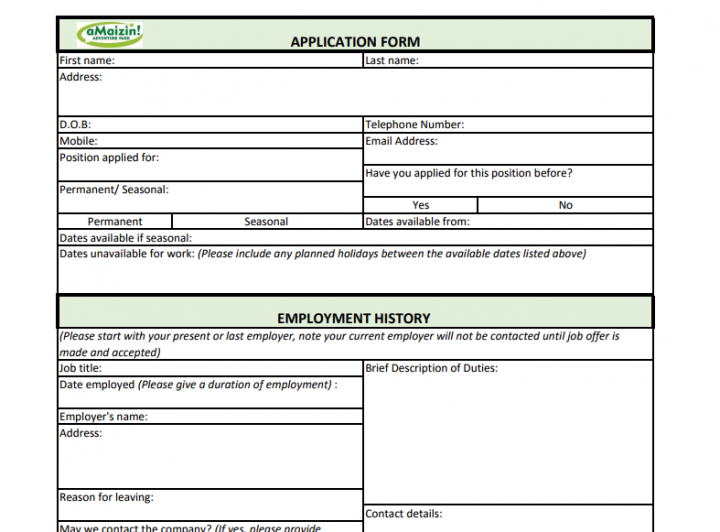 What should be included in your employment history? Your employee history is a detailed list of all the places that you were previously employed in and when you were employed at those places. This should also tell someone all of the previous positions that you held as well as the amount of salary that you made. The employer or the person that the employer hired to verify your employee history will confirm your employment history by looking up the places were you worked, the dates of employment, your previous job titles, and the reason for why you left or why you had to leave. There are some employers that provide a lot of detailed information, then there are others that do not. It all depends entirely on the company on what kind of information they can and should share with others. A lot of employers usually would not share the performance of their previous employees. However, if employers contact staff at former employers through informal channels, then there is a possibility that this kind of information could be divulged off the record. 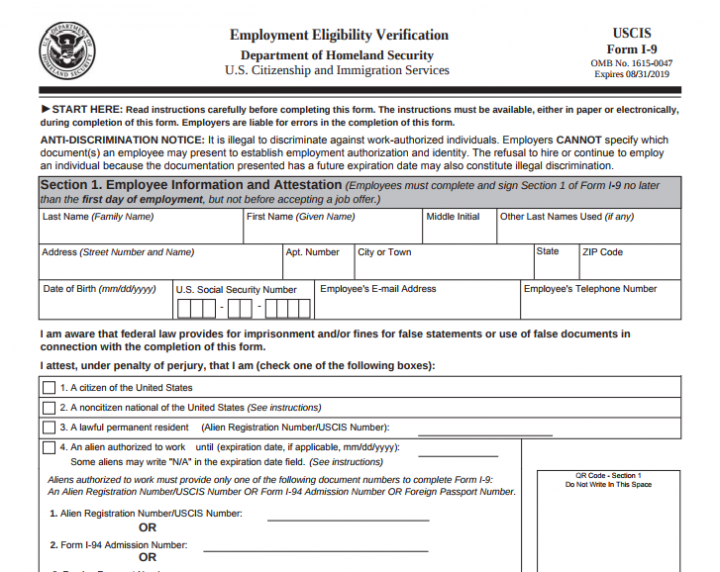 There are no federal laws that limit the kind of things that employers can check on. However, the laws of the state may have an impact on what information employers can search for. Try to see the state laws of your country regarding employee background checks to ensure that whatever your employer is checking is legal. There are a lot of employers that verify an applicant’s work history themselves. Then there are others who hand this task over to third-party reference checking organizations. In some cases, employers or the firms that these organizations contract with will conduct a more extensive background check that may also include one’s credit report or history and criminal record. However, this all depends on the type of position that the applicant is applying for, so whatever is going to be checked will vary. 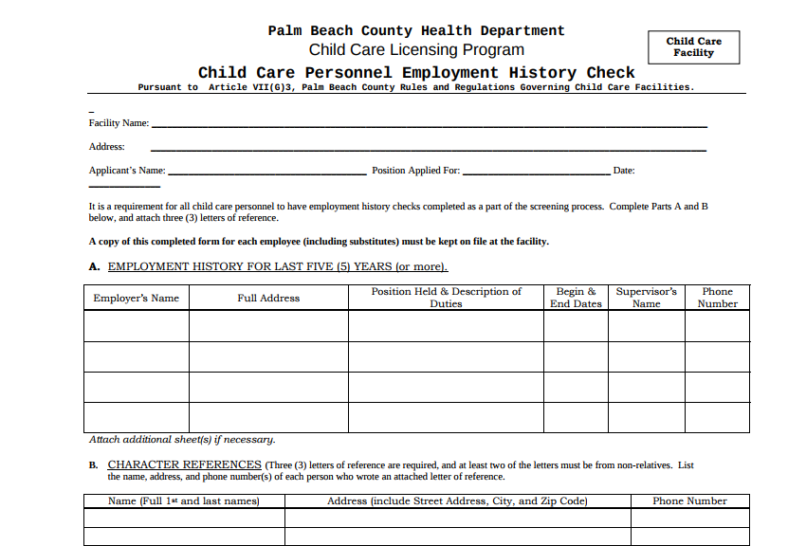 If an employer decides to conduct a background check, then they are not just limited to checking the information that you placed in your job application or your resume. They are going to dig much deeper to see if they can find out more about you. Do not think that just because you did not put certain pieces of information in your resume that your employer will not try to find out more details about you. They will want to check everything regarding your employment history and they may just find a couple of omissions in your resume. This also depends on what information the company is asking you to provide them. Let us say that the company asks you for a certain number of years of your work history and you fail to include all of the jobs that you held within that time period. It is this kind of thing that can be used against your application as this may just give the company a reason not to hire you for withholding information. When you sign up for a job application, you are basically attesting to the fact that you have given the employer all the information they have asked for. So the least that you can do is actually provide these people with the information that they need. How should you know which references are the ones that you should include in your resume? You have to choose those people who are going to make the strongest recommendations for you. Your previous supervisors do not have to be the people that you place on your reference list, especially if they did not know much about all of your previous accomplishments. Sometimes it is best to pick your co-workers, or those supervisors in your department who actually know about your achievements, as these people are your best bets for gaining a good reference. Basically, you want references that will point out all of your strengths and abilities, as well as those that actually say positive things regarding how you work in the office and how you are as a person. You want to choose at least three to five references. These people should be able to talk highly about your accomplishments, skills, performance, education, and more. For experienced job-seekers, your references should come from any previous co-workers or supervisors that you have worked closely with in the past. How does a background check differ from a reference check? Whenever you apply for a new position with a new company, then it is highly likely that they are going to be asking you for a list of references. This means the employer may want to contact some of your previous bosses, co-workers, people you have managed (if you are applying for a position in management), or personal references. You can prepare the people that you would like to serve as references in advance. Your employer may also want to do a background check. The main goal of doing this is to confirm the accuracy of the details that you have provided them. Basic information such as your education and even your identify falls under this category. An employer may even do a more thorough check to see if there is anything that you are trying to hide from them. Some of these people just want to find anything negative that could affect your job performance and your chances of obtaining that position that you want. Then there are those who are just trying to make sure that they are hiring someone who has a clean record and one who is a good fit for the company. 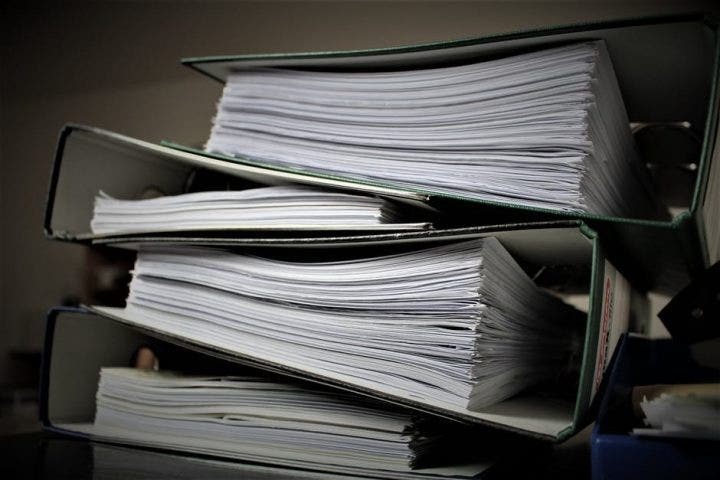 In any case, they are going to go through details such as your credit and financial status, driving record, criminal record, and civil litigation documentation. Your employers are definitely going to want to know if you are who you say you are. So one way to help you with this is by preparing two separate pieces of photo IDs. This can be anything from your driver’s license to a copy of your passport. You should also bring your social security insurance card when the time has come for you to sign the employment contract offer. 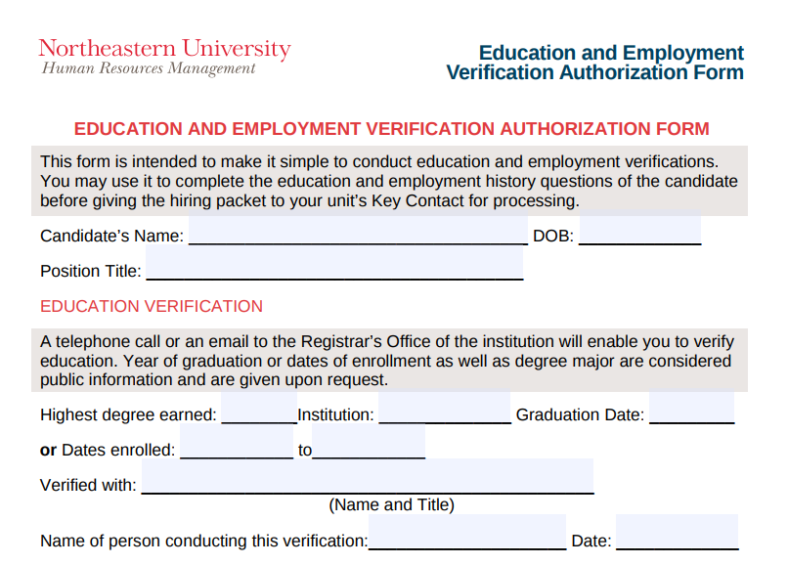 Employers are going to verify if you have actually gained the degrees and other credentials you placed in your resume or job application. So what you have to do is to get your transcripts from the schools or educational institutions that you graduated from, and make photocopies of these documents in the even that the employer would like to keep a set. Were you able to work in the places that you have stated you worked at and did you really spend that amount of time there? This is a big issue for a lot of employers as they want those who are honest about what their previous positions were, as well as those who tend to stay for a long time with a particular company. So the best thing that you can do is contact your previous places of work and ensure the accuracy of the information they will give out to prospective employers. Does the new position you are applying for have a lot of responsibilities? Will you be working with money, finances, or other types of confidential data? If the answer is yes to any of the above questions, then there is a good chance that the employer whose short-list you have made is definitely going to want to conduct a personal background check on you. Here are some things that you have to prepare for them. Your employers will want to see if you have a positive or negative credit record. This will allow them to see if you know how to handle your money. They are also going to want to see if you have ever gone bankrupt. So make sure you have your most recent Income Tax T4 slips (or CCRA Assessments) handy just in case you are asked to authenticate your previous earnings. If you are applying for a job as a courier, taxi driver, truck driver, or related occupations, then your employer is definitely going to want to see your driving history. This means that you have to visit your local government’s website and see if you can find your driver’s record. Employers are going to check if you are guilty of committing any crimes in the past and if you have received a pardon for them, or if you are currently being sued. This will heavily affect their decision whether or not you are going to get a job. Verifying the facts about you that exist for others to see can take some time and will even cost your employer a good amount of money. Think of this as a form of investment in your job hunt. Just make sure to keep your public records in check and see whatever information is available about you. Then be prepared to answer any questions. As stated before, companies only want to hire the people that will work hard for them, which is why they have to make sure that all of the information that an applicant presents them with is 100% accurate. If they catch wind of any falsified information, then that applicant can bid his or her chances of obtaining a job goodbye. 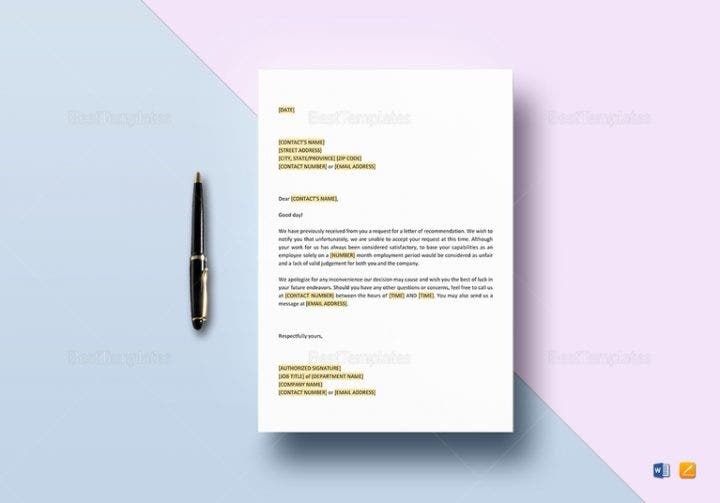 It also helps to know what previous jobs applicants have had as it will help employers determine the kind of offer they should hand out once it is time to come up with the employment contract for the final candidate. So if you are applying for a job, make sure that whatever you have on your resume is the real deal or you might just face a lot of problems when it comes to finding a job in the near future. 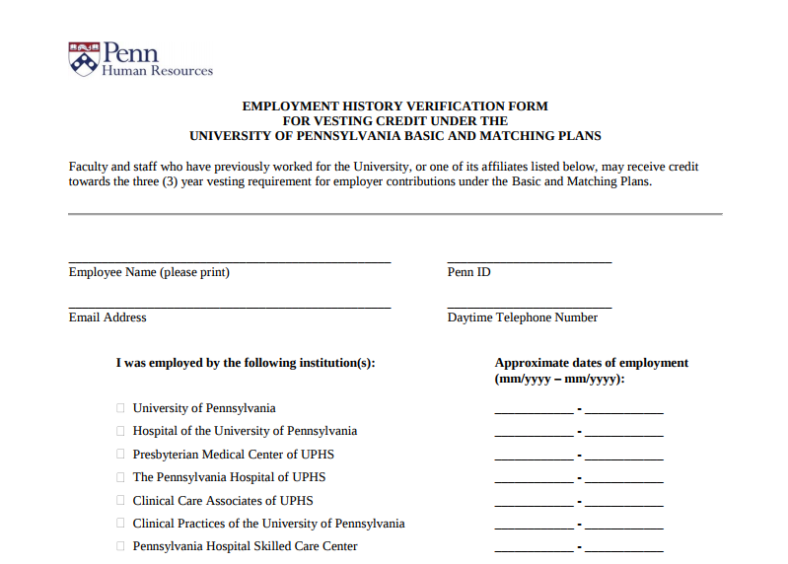 If you would like to learn more about verifying employment history or anything related to it such as what resume format to use, then go through our other articles for more helpful information.